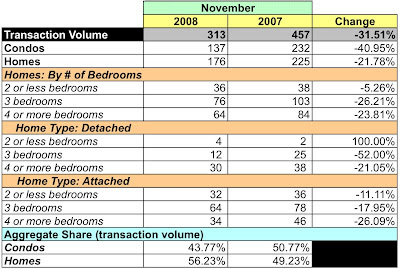 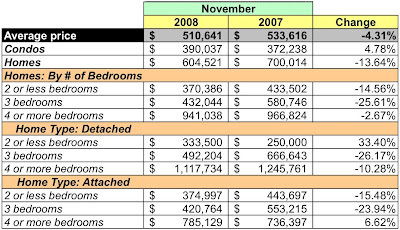 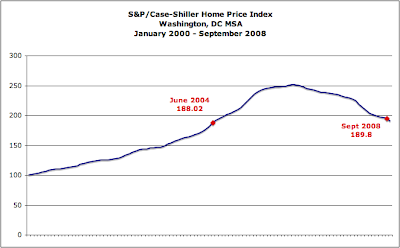 The S&P/Case-Shiller Home Price Indices report for September 2008 was released while I was in Australia [yes, I'm that far behind in current events]. 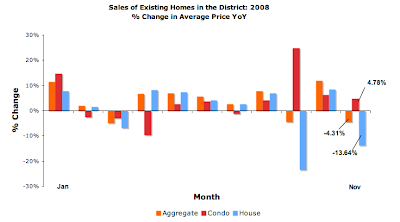 It "shows continued broad based declines in the prices of existing single family homes across the United States, a trend that prevailed since 2007." 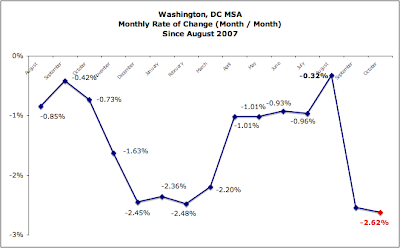 While August's report gave the impression that DC homes prices may have hit bottom, September's shows the market has resumed its decline. 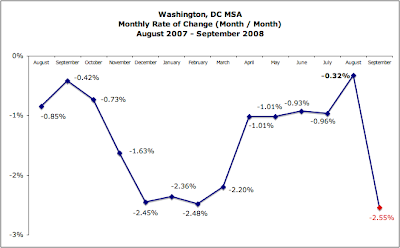 The rate of monthly decline - the acceleration - increased significantly. 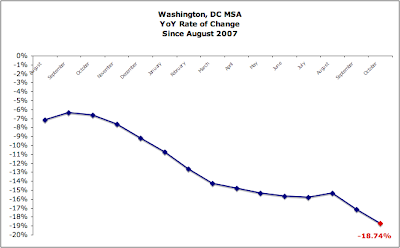 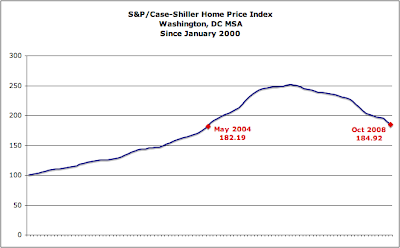 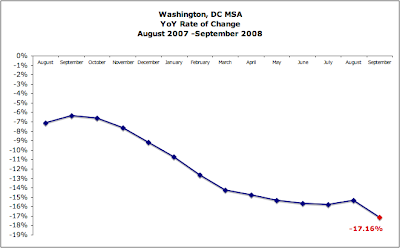 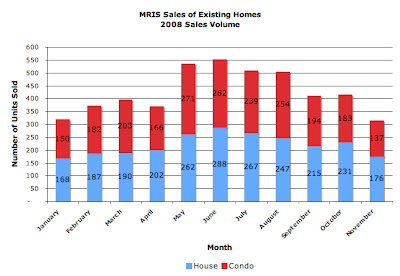 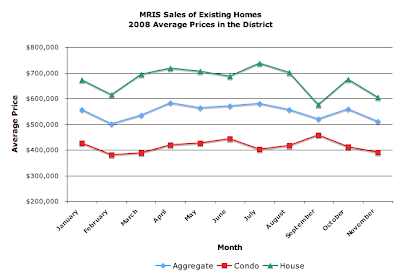 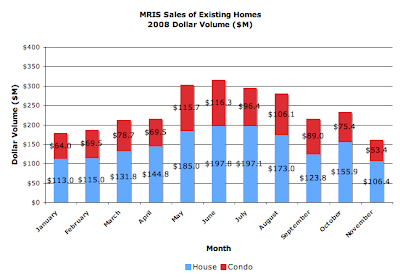 Effectively, the DC area's home price index has fallen to slightly above June 2004, but below July 2004.